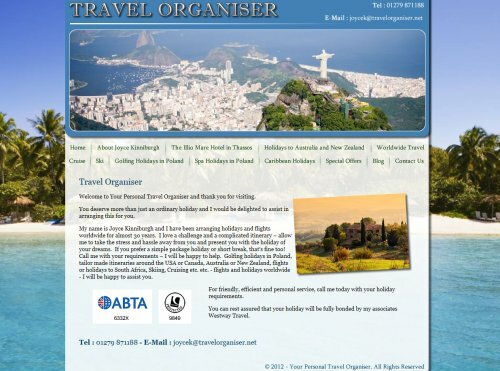 You deserve more than just a holiday and Travel Organiser are delighted to arrange this for you. Travel Agent Joyce Kinniburgh has years of experience in arranging all sorts of travel to destinations far and varied around the world. We’ve created a dynamic and colourful website to promote the range of destinations offered by Joyce to include destination photograph galleries and online booking forms as well as a news blog.